But none of that should disguise quite how callow, how dismal, P.S.G.’s elimination was. This is a team that has been constructed, at almost unimaginable cost, to win the Champions League. As its coach, Unai Emery, said Tuesday, losing to Real Madrid is no embarrassment. “It is a team of champions,” he said. He did not say that losing like this is, or should be. P.S.G., a team that cost half a billion dollars, did not rage against its fate. It did not hurl all it had at Real’s defense, ending the game breathless and broken, fighting for pride, if nothing else. It simply accepted — as soon as Cristiano Ronaldo scored, as he always does in the Champions League — that, once again, it was going to fall short. 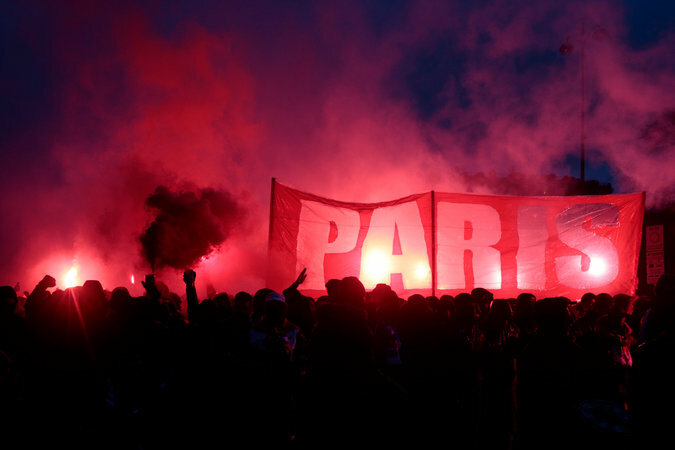 An imposing atmosphere at Parc des Princes stadium was not enough to inspire P.S.G. to a victory without its star forward, Neymar. Emery’s players slowed almost to walking pace. Their passing, hardly sharp at any point in the evening, grew increasingly lazy, wayward. They were careless….